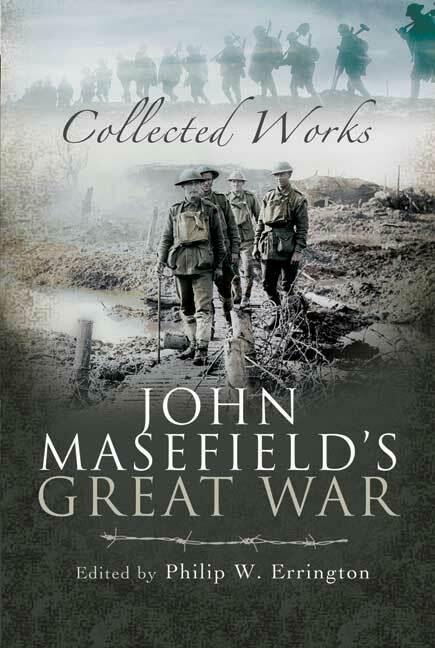 You'll be £25.00 closer to your next £10.00 credit when you purchase John Masefield's Great War. What's this? John Masefield wrote four books on The Great War: Gallipoli, The Old Front Line, War and the Future and Battle of the Somme. These have been acclaimed as perceptive and beautiful crafted works, which bring home the full horror and hopelessness of war. This is the first opportunity for historians and general readers to purchase all four in a handsome yet reasonably priced volume, which is collectable. In addition there is a full introduction by Dr Philip Errington, the leading Masefield authority who is head of Sotheby's Department of Printed Books and Manuscripts. This rare collection is rounded off by a selection of shorter pieces by the hugely popular Poet Laureate.